Just wondering if the plates support a stepped caps lock or just the regular centered style? This still happens on GH? That's unfortunate. Well, I'll say again - glad to see the progression of your efforts culminate in this board. In for one, special edition or regular true fox, depending on how the wind blows. Good news / bad news situation. Bad news: we won't make the gold edition. Sorry, I tried, but it adds a lot of work and we wouldn't make it by Christmas. Good news: we will get FCC compliance, meaning that MD will offer a 100% full assembled WhiteFox. As far as I know this would be a first (but I might be wrong). Unfortunately I don't think it will be CE certified too. Also we will probably have a proper product box, no bubble wrap in generic box but a custom made packaging to fit all the components. More good news: group buy starts next week! Hold tight! 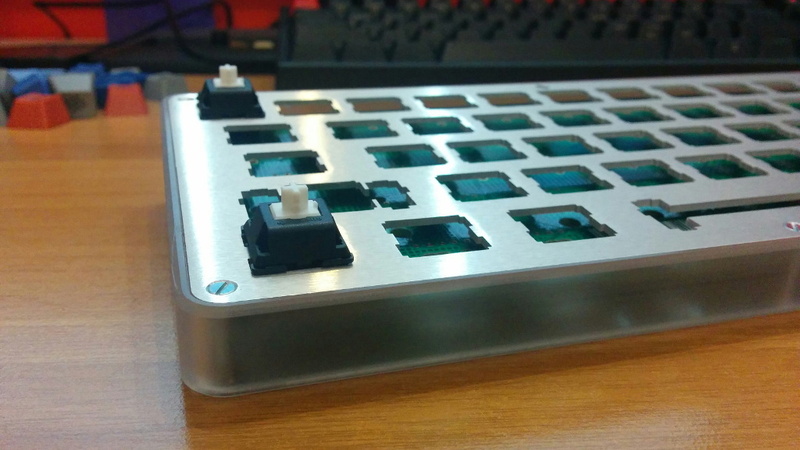 Do you know if Gateron switches will be an option? Where is the SNES set? Good thing the GB comes quite early in the month. Lots of monies to be spent. Your wallet will hurt, but your fingers will be happy, and that's all Christmas is about. Good gawd, what the hell did my wallet ever do to deserve this? I've been lurking on the white fox project for the past 2 years so of course the white fox layout is the only way for me to go. Hoping there is some heft and thickness to the case like my poker keyboard. I purchased the acrylic and the aluminum cases for my 60% boards and honestly the case from my poker just stands out over the others. The PBT keys in this one sound like the same keys from the KC60 release on MD (not a fan). Matt3o, in the interest of prepping this kick a$$ board for Granite Round 4 next year, would you please make an option for no keys when the drop is set? The PBT keys in this one sound like the same keys from the KC60 release on MD (not a fan). keycaps come from a brand new facility. What I tested so far is really nice. Is it really going through MD ? Why do you even carry a wallet anymore? Just tape your credit card to the bottom of your monitor. Any updates on the pinging or lack thereof? (I think you mentioned you had a recording or something to post, but it looks like it got lost in the rollback). I've also casually followed some of the Infinity development on Massdrop. For one, I know they were having issues with the strength of the USB connector on the Infinity ErgoDox. Have you guys been able to gain any insights from their problems so they don't happen with the WhiteFox? How's the online configurator working? Massdrop's for the original Ergodox never really seemed to made it out of (an early) beta. If you wanted more functionality than that, you needed to wrap your head around TMK or Ben's firmware or something and figure out how to compile it on your own. audio quality is not the best and the mic was really too close, but you can get an idea. Switches are MX Blue and the keyboard is still a prototype (not the final product) but there's no "ping". Sound test. the whitefox has a micro-usb connector with pass-through pins. that is the best you can get in terms of small usb ports. Configuration works pretty well with the configurator, if you need more options just ask. Consider that the TMK firmware will also be ported to the whitefox. Those clicks are music to my ears. I am constantly refreshing this thread at working, waiting for the group buy announcement to go live, even though I know it won't be until next week. 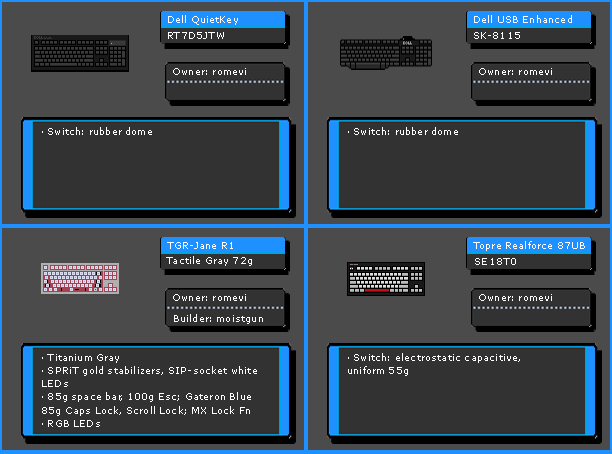 I took a quick look at the configurator over at input.club. Not sure if this'll end up being the official one or not. A couple things come to mind that weren't overly clear if they're implemented. Simple macros (ie hold down a modifier or something, type a series of keys, release modifier) and an easy way to implement SpaceFN (ie function change on down keystroke, then conditional space on up keystroke if nothing else got pressed after the down keystroke). 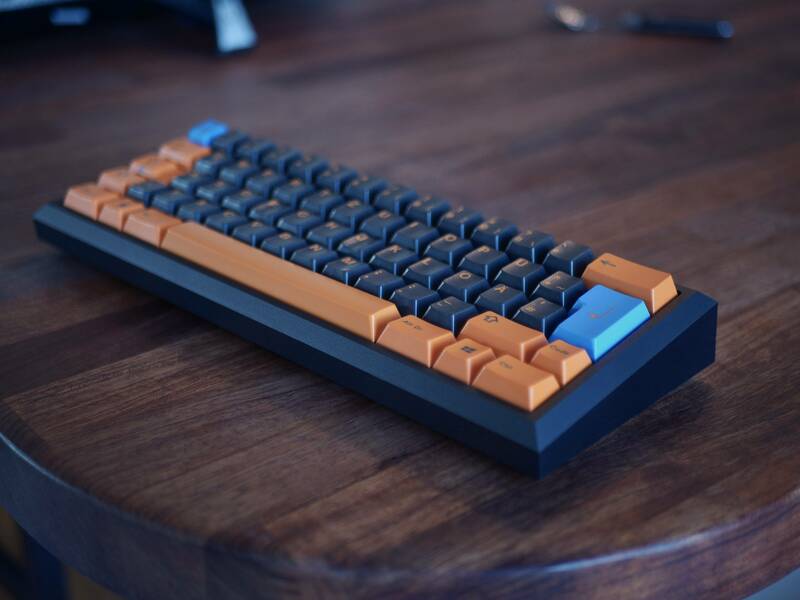 I was also looking at the keycap renders over on deskthority. Is the top right key on the number pad kit really an "Any Key" or is that just a place holder? Wait, is this going to come as a kit or only as a complete board? I would rather put it together myself. Pretty sure you can order just the kit, a la the Infinity boards. it's a kit, but you can get it assembled if you want (for a price ). PS: the key in the numpad reads "ANY KEY"
oh man, great job. Looking forward to the group buy, but can I change the position of caps and ctrl? I think that, as a new keyboard, the Fox is trying a new layout inspired by others. Sorry, I'm actually really tired and too lazy to write. Meant to add that its main purpose is to try a new layout, so supporting other layouts isn't its main concern but to have people try a new one. Hence the creation of supporting caps. Holy crap, Matt3o. This is amazing. Your initial prototyping and building a couple years ago is one of the things that inspired me to dig deeper into this hobby and build my own things. Thank you for detailing the history of this board, it brought back a lot of great memories. And it's so great to see your dream finally realized. I'm totally in for the True Fox layout. 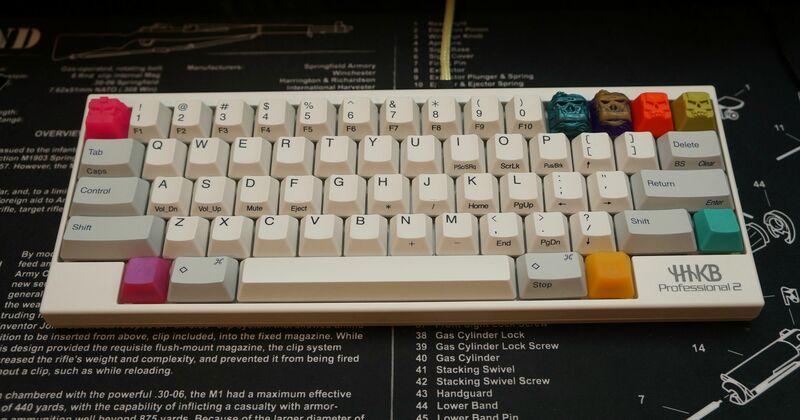 I like 65% boards, I like HHKB backspace, and I love the gap between the arrow keys. Great design, of course. My only gripe is the lack of stepped caps lock support. There is support in the PCB, just not with the flush plate. But yeah, I wish the full shebang had the stepped cap. This would make True Fox perfect. Still getting True Fox layout 'cause that's what this board was made for! Yeah, but I want the plate! Oh! Another comment for Matt3o: If there is any way to get hex socket screws (Allen Wrench screws - I don't know the technical name ) instead of flat-head screws that would be great. Flat-head and phillips don't look nearly as clean and polished as hex screws IMO. 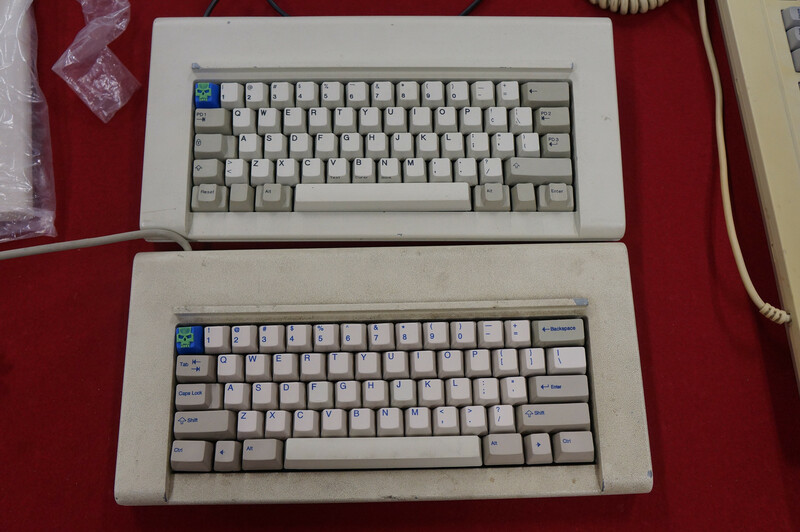 But the off centered switch for the step caps lock allows the use of authentic OG Cherry sets and it does look very cool. I agree, but like I said, we couldn't make both versions for all layouts. Why can't one plate support both versions? I'm not very much fond of open frame keyboards with large holes to support multiple layouts. Good point. I do still like the stepped key, even if it's Ctrl, but you're right that it is not critical at that point. Whoops! I saw this picture and assumed the final product would have the same screws. But looking at the final product shot I see that that is not the case. Thank you for clarifying! the screws are really small, almost cellphone size, we could find only torx head at that size (no hex), but they are definitely better than flat or phillips. Yeah the prototypes had flat heads, you are right, but it was just to check that everything was working.